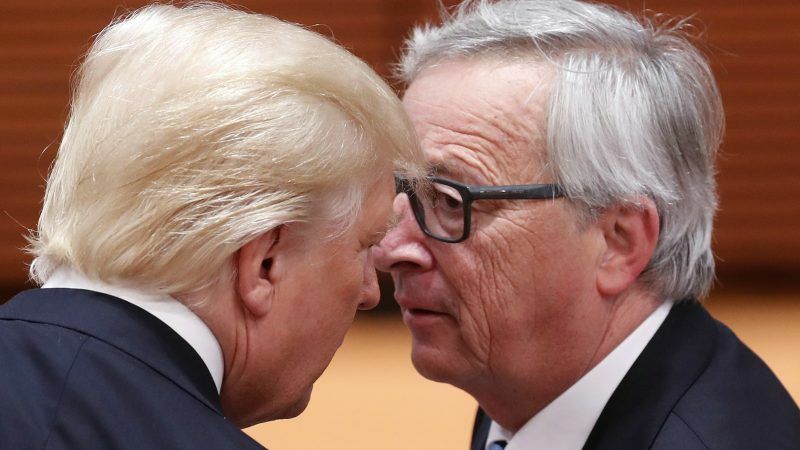 Juncker, who attended a meeting of leaders of the Group of Seven major powers in Canada last week, spoke about his encounter with Trump in a speech to Bavaria’s regional assembly in Munich on Thursday. 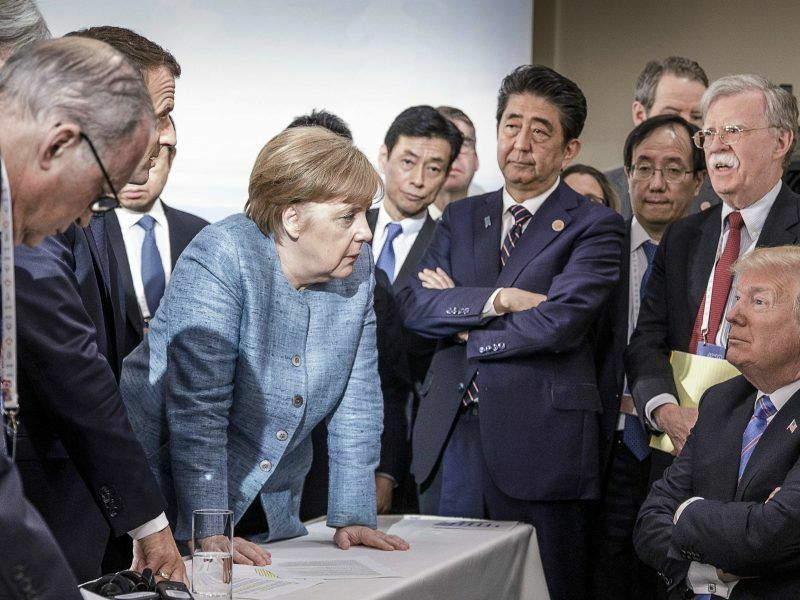 The G7 summit failed to heal a growing rift between the United States and the other powers, many of which Trump accuses of trade policies that unfairly disadvantage the United States. 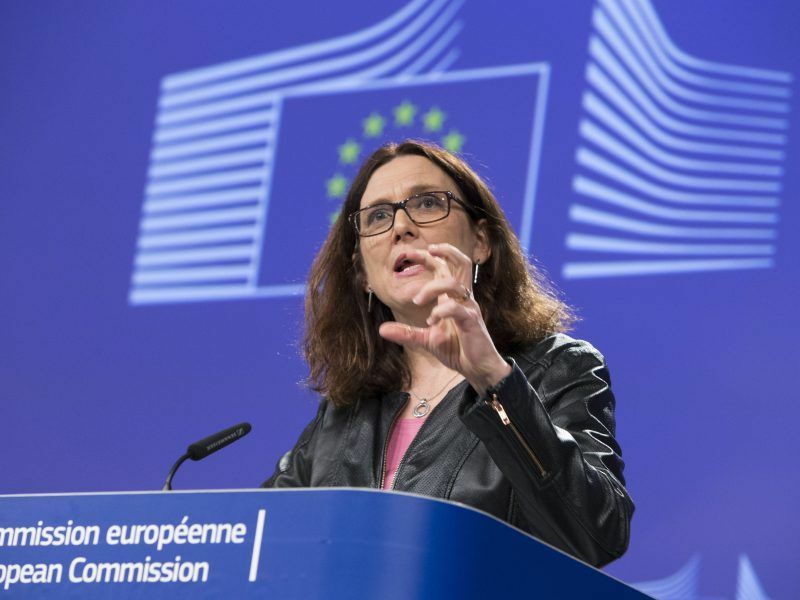 European Union countries on Thursday unanimously backed a plan to impose import duties on €2.8 billion ($3.3 billion) worth of U.S. products in response to U.S. tariffs on EU steel and aluminium, EU sources said. When Merkel announced that Germany would open its doors to migrants she neglected to give them a method of getting there. Juncker travelled to Berlin after the announcement. His duty was to uphold the treaties. At the least he needed to ensure a safe route. He did neither. 20,000 now lie dead at the bottom of the Mediterranean and aid budgets have been redirected to pay for it all. Juncker did not act alone but many are dead because of his actions. failing to act and acting are not morally equivalent. I shoot you: I’m a murderer. You are drowning, I don’t safe you: I’m not a murderer. an eye for an eye: I kill, I get killed. an eye for an eye: i don’t safe: I don’t get saved. You kill me for not saving: you are the murderer.